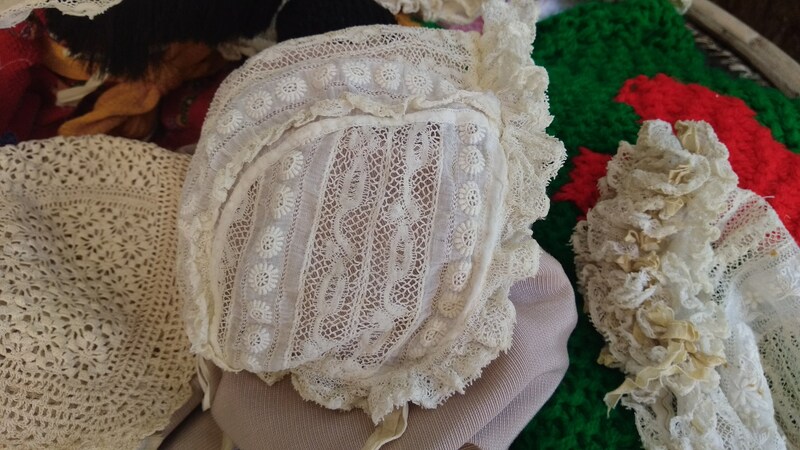 Beautiful Victorian Baby Bonnet. 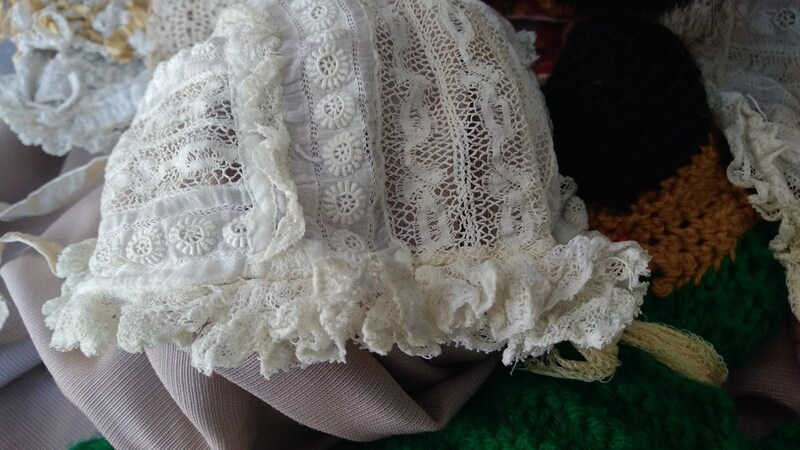 Lace Hat Embroidered with Silk Strap Ribbons. 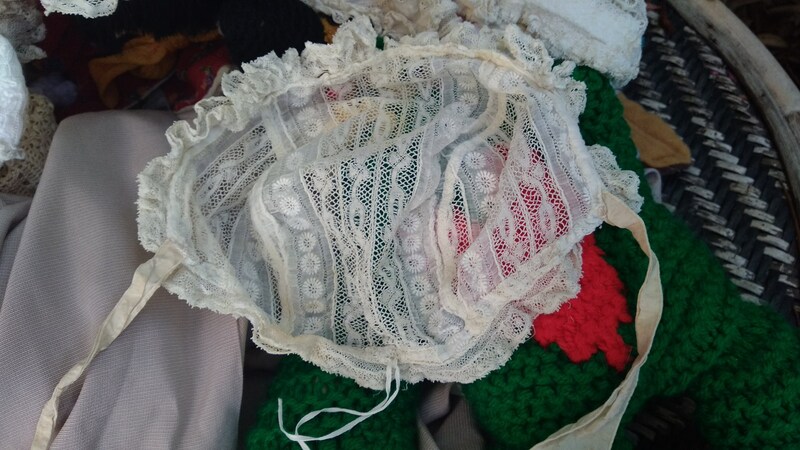 French floral embroidered bonnet . 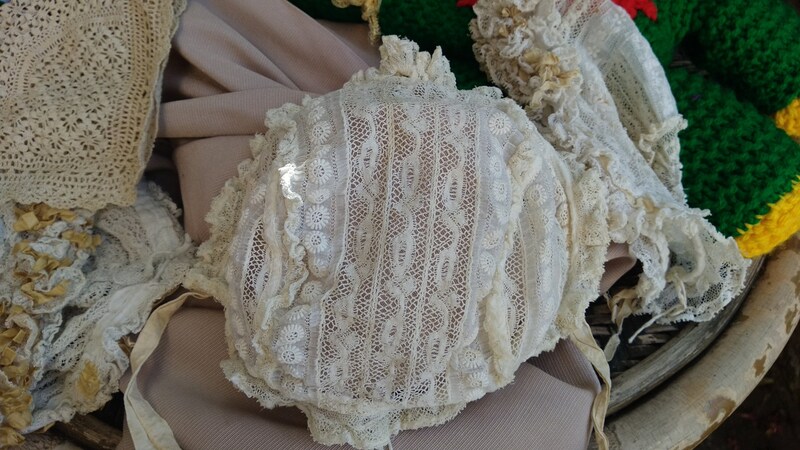 Off white cotton tulle lace made. 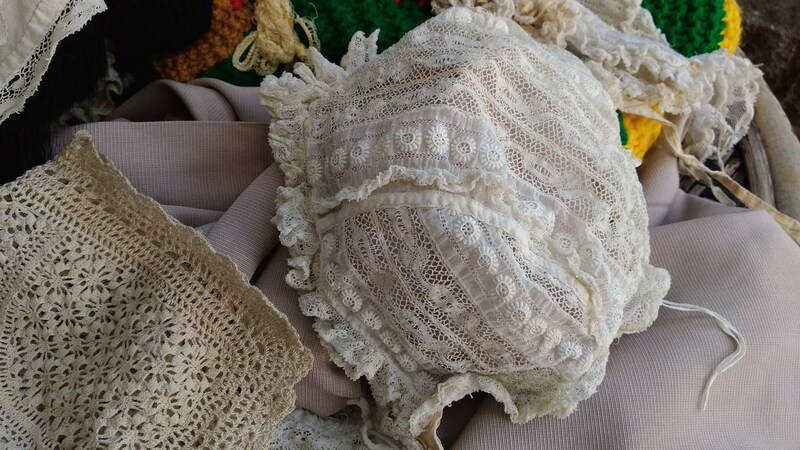 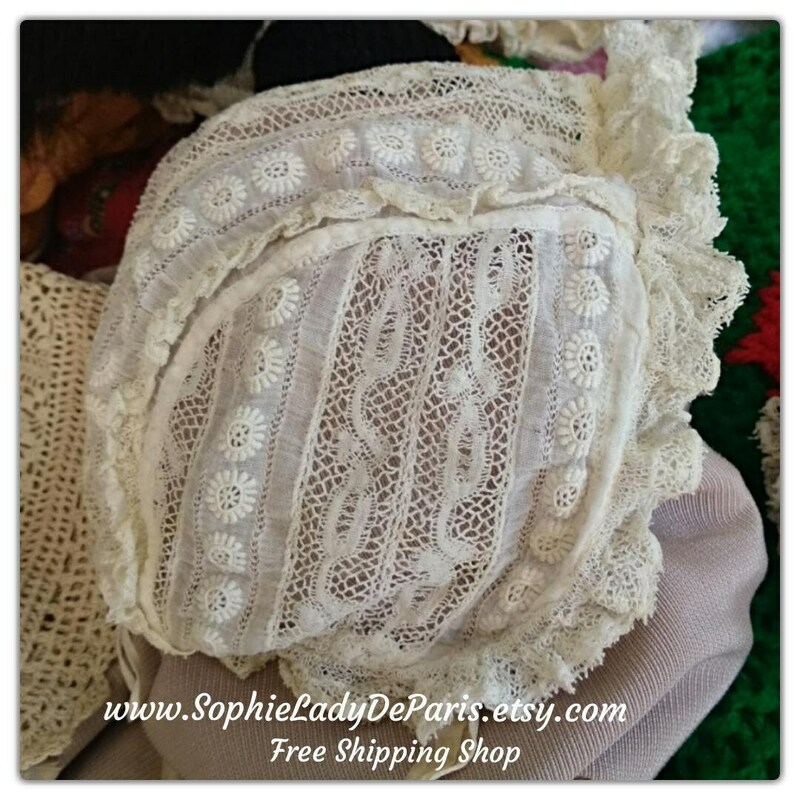 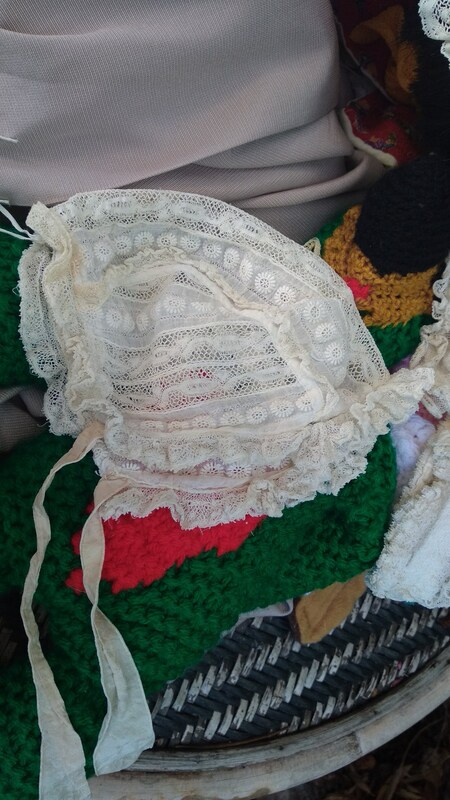 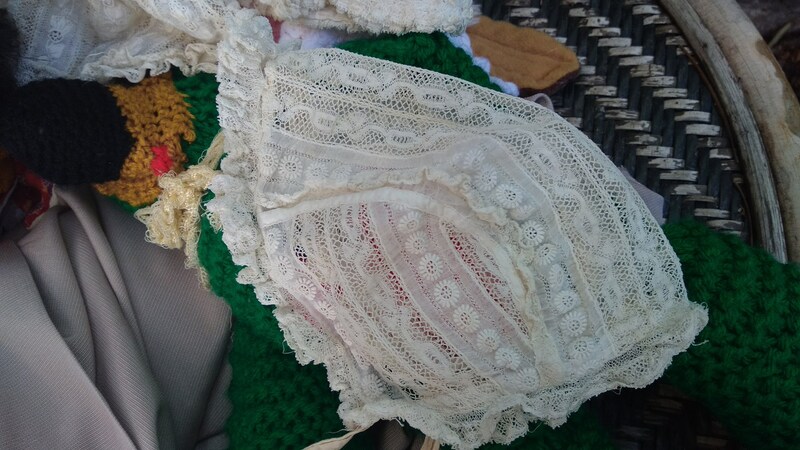 Lovely Antique French baby lace bonnet.